We’ve greatly enjoyed our own homegrown sprouts for the past several years. There’s just something about their fresh taste and crispy crunch that can be enjoyed any time of year, no matter the weather. As with all our seeds, we make sure we know who our growers are and where our seeds come from. 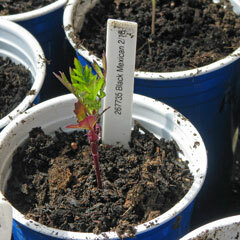 This is even more important with seeds used for sprouting as they are eaten directly as a food. We chose our sprouting seeds supplier because of their commitment to the safest and healthiest seeds possible. They showed us their safety standards and testing protocols and we want to share them with you. 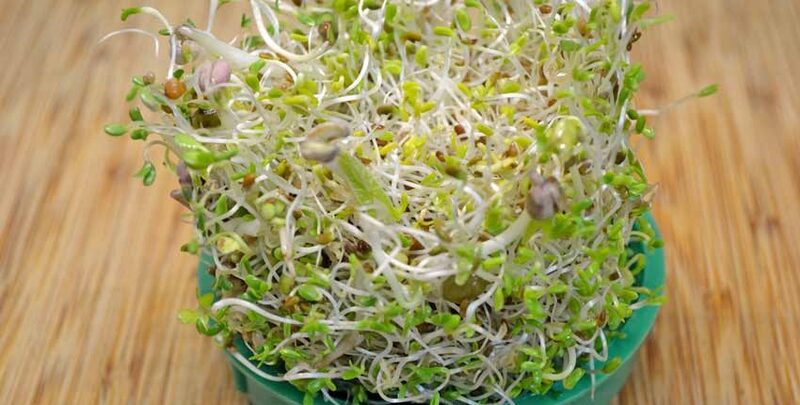 Growing your own sprouts at home is much safer than buying them off the shelf at a supermarket, and we’ll show you why. -The safest sprouts are those you grow at home in a glass jar from a trusted, reliable source that screens the seed and tests both the irrigation water and sprouts for contamination. 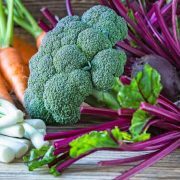 -The next best is fresh sprouts from a local, trusted grower who buys their seed from a similar source as above. 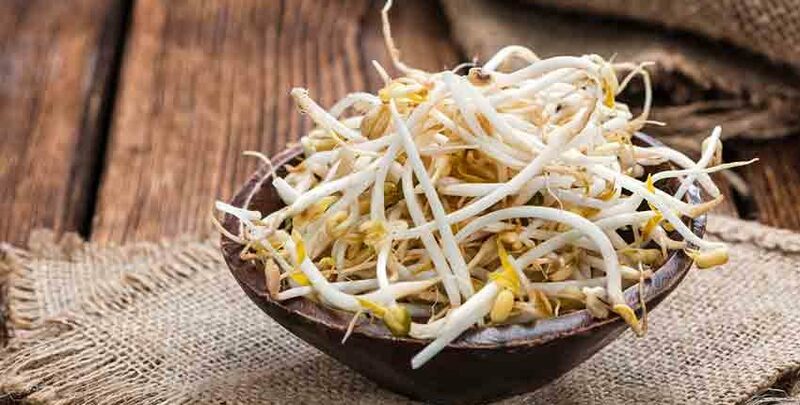 -The least safe sprouts are from the supermarket where they have most likely been grown in a different state and trucked in. These sprouts are usually more than a few days old when they are first put on the shelves. 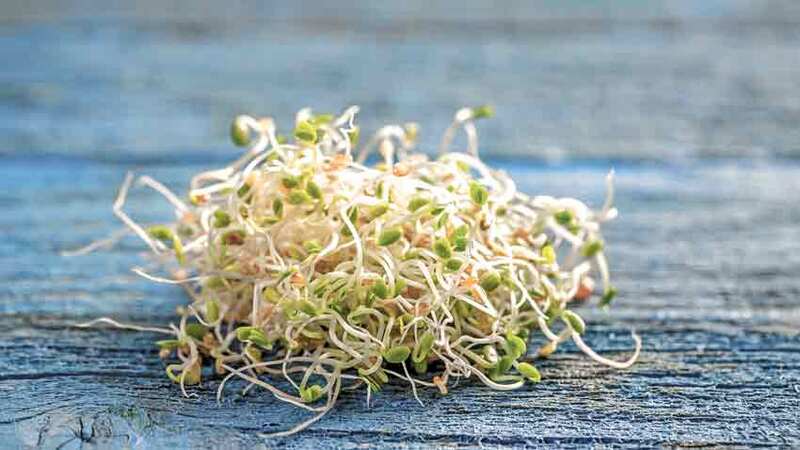 Sprouts are healthy, nutritious and are rich in vitamins, minerals, proteins, enzymes, bioflavonoids, antioxidants, phytoestrogens, glucosinolates and other phytochemicals. They are an excellent alternative to meat, especially for vegetarians and vegans. 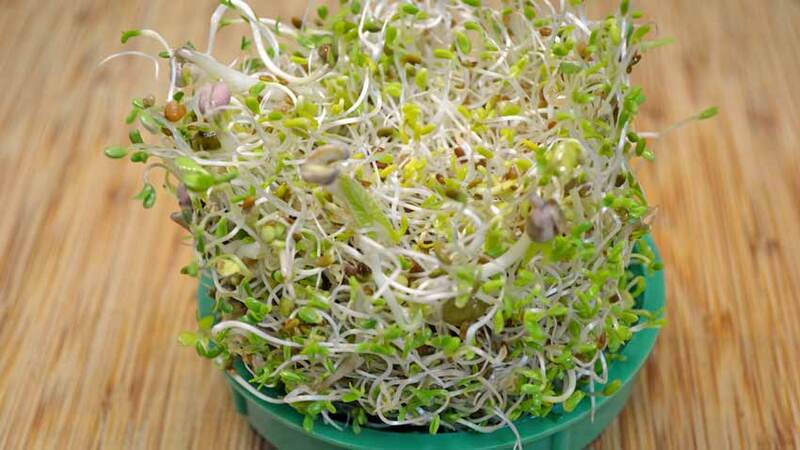 There are two main hazards associated with sprouts – E. coli and Salmonella. Both of these terms are used a lot, but what do they really mean? What are they and where do they come from? The best and surest method of reducing the risk of sprout seeds carrying bacteria is making sure the seeds are never contaminated. 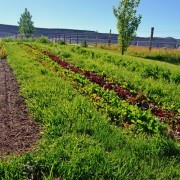 This starts with an ethical grower using good agricultural practices and organic standards. The next step is conducting rigorous testing, both in-house and independently. The testing done on our sprout seeds is different than any other testing protocols for food. There is no acceptable “percentage of contamination”, as is often the case with other foods. If any bacterial contamination is detected, testing is stopped and the entire lot is rejected – sometimes 40,000 pounds or more. 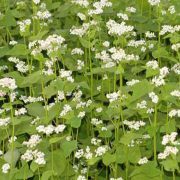 To ensure the sprouting seeds we offer are as safe as possible, our supplier extensively tests both the sprouting water and the seeds to verify if any bacteria is detectable after harvest. Our supplier and an independent lab both do multiple tests to safeguard our health safety. Current pathogen tests are considered to be 97% accurate in detecting contamination. Duplicate testing at both 48 and 96 hours brings the accuracy and confidence up to 99.91% each time, for a final accuracy of 99. 999919%! As of early 2017, our supplier is the only company doing these extensive screening and testing protocols. The FDA is studying this protocol and has begun advocating its adoption by sprout companies for testing. Screening includes inspecting the bags for any urine or feces contamination, any holes in the bags, insect larva or other contamination. Afterwards, the seed is carefully inspected with both a magnifying glass and microscope. Each and every bag is screened – this particular lot had 860 bags, each one weighing 50 lbs. for a total of 43,000 lbs. A small sample of seed is taken from each bag and added to the overall lot sample. The entire sample is sprouted for 48 hours, increasing any potential bacteria level approximately 1,000,000 times over the starting amount, substantially increasing the probability of detection. Next, the sprout runoff water is sampled and tested by the in-house lab. This is called “spent irrigation water”. A sample of the sprouts is crushed and tested for contamination also. These tests are done in accordance with government food safety and industry accepted protocols. The lab tests for both Salmonella and E. coli 0157:H7 after 48 hours and again after 96 hours of culturing the irrigation water. Both bacteria do most of their growth in the first 2 days or 48 hours. This is when the first test is performed, with the second test at 4 days or 96 hours. The second test catches any late developments that might be missed on the first. A separate, larger sample of spent irrigation water is sent to an independent lab for more extensive testing. The independent lab performs a more in-depth analysis on a wider range of pathogens than the in-house lab because of their higher level of equipment. Notice that the independent lab tests for the top seven strains of E. coli, where the in-house lab tests for the most common one. The lab uses a food microbiology genetic detection system. This is possible because the specific genes or DNA of the different strains of E. coli have been mapped, so they are specifically targeted during this testing. This gives better accuracy, repeatability, and confidence in the testing than any previous methods. Next, the independent lab tests four pounds of randomly obtained sprouting seed from the shipment. Having an independent, third-party lab analyze the sprouting seeds gives an additional measure of confidence. Finally, the storage facility is inspected and documented. 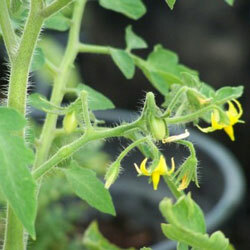 This ensures the cleanliness and food safety of how the seed is stored to avoid insect or rodent infestation or damage. Wash your hands thoroughly before handling seeds or sprouts, and use clean glass jars and screens that are washed with soap and hot water just before starting the sprouting process. Rinse the sprouts well at least twice a day and tip the jar so excess water can drain, avoiding puddles where bacteria can grow. 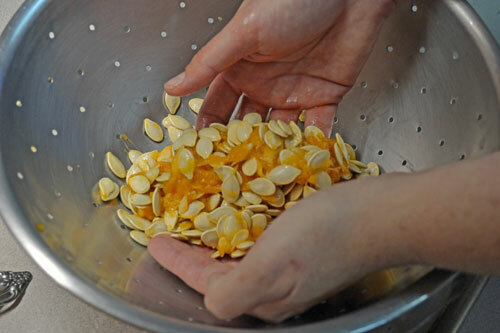 Rinse the seeds well before starting the initial soaking period. 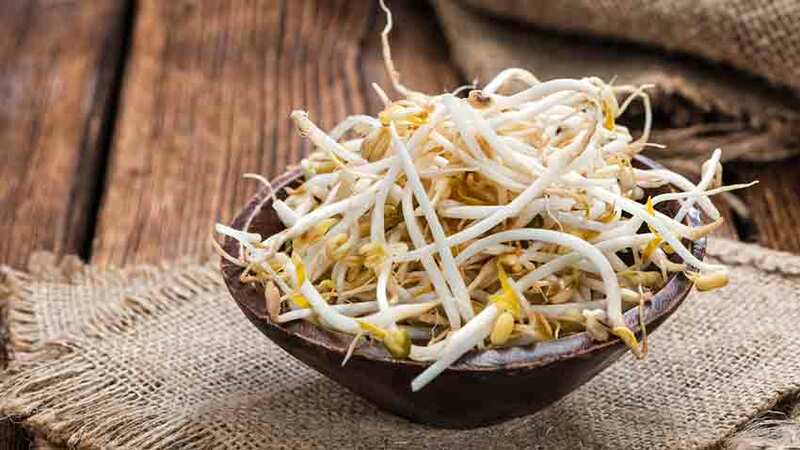 Now you know the steps taken to ensure the highest quality sprouting seeds are available so you can enjoy the taste and nutrition of sprouts with peace of mind.